Hello everyone, and welcome to this week’s Disney Trivia post! I was going through some of the “This Day in Disney History” stuff that I enjoy, and came upon a great piece of trivia that I just had to share with you! As always, I am joined by my great friend Heidi from Heidi’s Head and Jodi from Magical Mouse Schoolhouse! The video for the Beach Boys’ 1988 hit song “Kokomo” was filmed on the “beach” at Walt Disney World’s Grand Floridian Resort in Florida. Performing in the video was honorary Beach Boy and Disney fan … actor John Stamos! 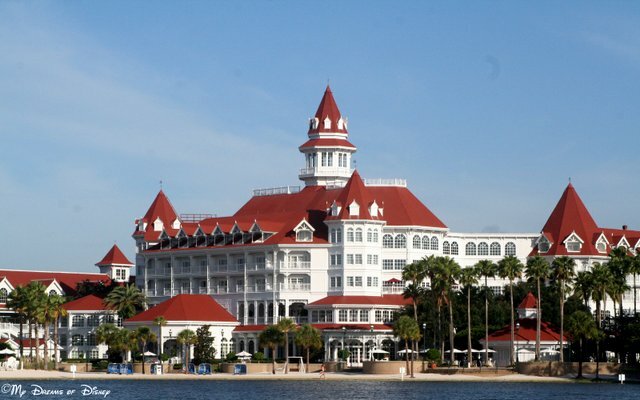 The resort had not opened when the video was shot and so the band & Stamos were the Grand Floridian’s very first guests! As soon as I saw this, I knew that it was my trivia for today. I hope you enjoyed it! Thanks for stopping by, and please take a moment to click on the rest of the links and read the rest of the trivia posts as well! Lastly, if you are a blogger, and have a Disney Trivia Tidbit to share, write up a post and enter it in our linky! Have a great week, everyone! Tiggerific Tuesday Trivia – Disneyland Trivia! Do you know the exact dates they filmed there? Just curious. I’m a huge Beach Boys fan and fellow Disney aficionado, hopefully getting married at the Grand Floridian’s Wedding Pavilion. So hearing they filmed there was like, a sign haha. Hey Sarah, I’m not sure what the dates were but I’ll see if I can find out. Congratulations on the wedding!